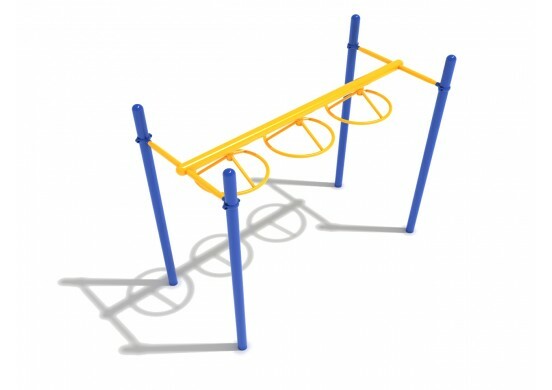 The Bongo Bench is the perfect playset for young kids to practice on. The four drums each produce a different sound, so that a whole spectrum of tones can be produced. 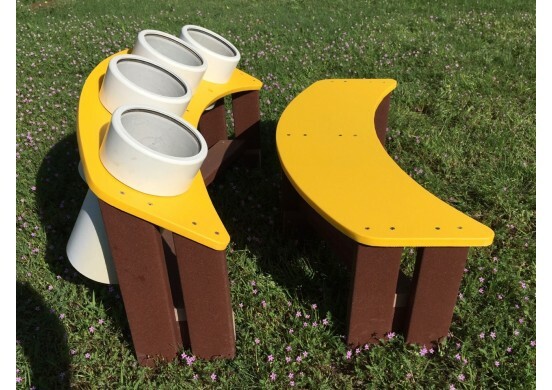 This allows young musicians to create their own beats and rhythms, building an early interest in music which will continue to develop throughout their lives. 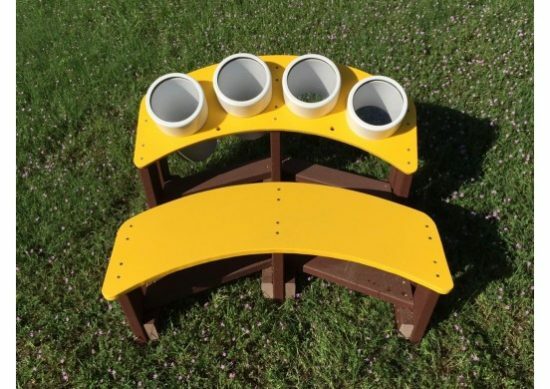 The drums come with a bench, so that the child playing them can sit down and play for extended periods of time without getting tired. 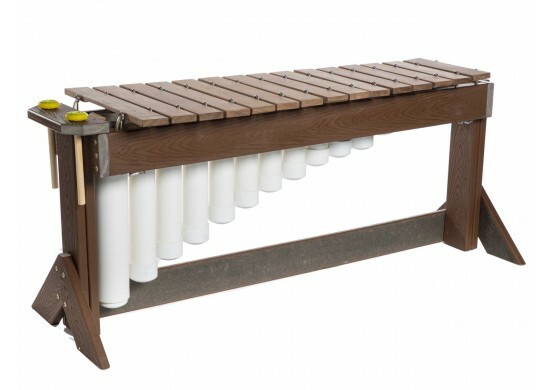 Both the bench and the framework of the drums are made entirely out of post-consumer recycled plastic materials.